Gunnar's Daughter is a brief novel set in the Saga Age. This was Undset's first historical novel, published in 1909. The Master of Hestviken series is of four volumes, published 1925-27, which are listed in order below. Depending on the edition, each volume may be printed by itself, or two volumes may be combined into one book. The latter tends to result from older printings. Kristin Lavransdatter is a trilogy of three volumes. These are listed in order as well. Written during 1920–22. In 1995 the first volume was the basis for a commercial film, Kristin Lavransdatter, directed by Liv Ullman. Jenny was written in 1911. It is a story of a Norwegian painter who travels to Rome for inspiration. How things turn out, she had not anticipated. The Unknown Sigrid Undset, a collection of Undset's early existentialist works, including Tiina Nunnally's new translation of Jenny was assembled by Tim Page for Steerforth Press and published in 2001. Men, Women and Places, a collection of critical essays, including 'Blasphemy', 'D. H. Lawrence', 'The Strongest Power', and 'Glastonbury'. Tr. Arthur G Chater, Cassel & Co., London. 1939. Saga of Saints, ISBN 0-8369-0959-3; ISBN 978-0-8369-0959-3. The coming of Christianity.--St. Sunniva and the Seljemen.--St. Olav, Norway's king to all eternity.--St. Hallvard.--St. Magnus, earl of the Orkney islands.--St. Eystein, archbishop of Nidaros.--St. Thorfinn, bishop of Hamar.--Father Karl Schilling, Barnabite. Chapter of this book also published as "A Priest From Norway, The Venerable Karl M. Schilling, CRSP" by the Barnabite Fathers through the North American Voice of Fatima, Youngstown NY, July 1976. Catherine of Siena, Novel. Sigrid Undset's Catherine of Siena is acclaimed as one of the best biographies of this well known, and amazing fourteenth-century saint. Undset based this factual work on primary sources, her own experiences living in Italy, and her profound understanding of the human heart. Catherine of Siena was a favorite of Undset, who was also a Third Order Dominican. This novel was republished by Ignatius Press in 2009. Amdam, Per (1975). "En ny realisme. Historie og samtid". In Beyer, Edvard. Norges Litteraturhistorie (in Norwegian). 4. Oslo: Cappelen. pp. 412–439. CS1 maint: Unrecognized language (link) Oslo: Cappelen. pp. 412–439. Krane, Borgnild (1970). 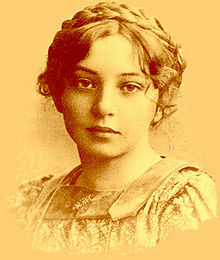 Sigrid Undset. Liv og meninger (in Norwegian). CS1 maint: Unrecognized language (link) Liv og meninger (in Norwegian). Petri Liukkonen. "Sigrid Undset". Books and Writers (kirjasto.sci.fi). Archived from the original on 4 July 2013.